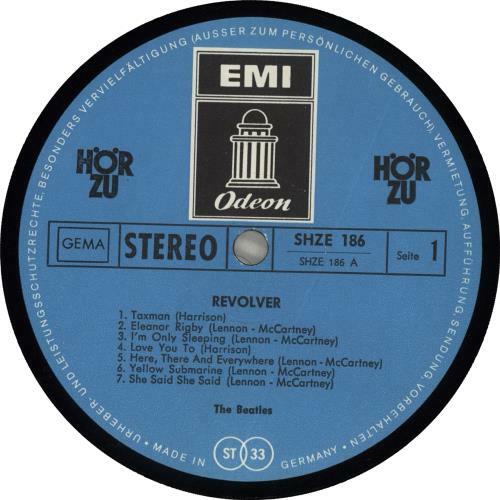 THE BEATLES Revolver (1969 German blue Odeon label issue of the 1966 14-track stereo LP, released in association with 'H�r Zu' magazine, laminated picture sleeve with 'H�r Zu' logo featured on the front & back. The sleeve [VG+] shows some ringwear scuffing with the odd small thumbnail split to the spine & no writing. 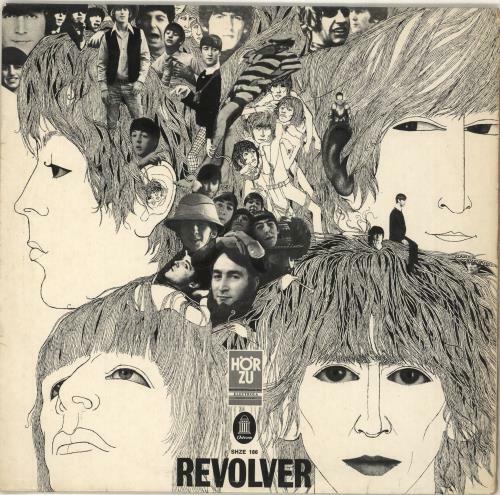 The vinyl is clean & in VG+/EX- condition with some light paper hairline scuffs & spindle marks to show play SHZE186).